I am delighted to introduce you to my new book serialisation, The Diamond Keys! Each month a new chapter will be added with an alphabetical listing of the special Diamond Keys, bringing you into closer alignment with your Authentic, Diamond Self. This insightful and valuable book represents 10 years of direct experience of working with the Diamond Light Body. A series of enigmatic messages from the Higher Realms in 2003 was the catalyst for a decade of spiritual, metaphysical, and scientific research skillfully condensed into this accessible A - Z for the sincere spiritual seeker. The messages began with bite size chunks of information from the Spiritual dimensions about changing DNA and our Divine connections. Julie was shown that we all have a personal body of light that has a specific geometric configuration. This body is that of an octahedron or Diamond. Our distant ancestors of more advanced knowledge knew of this. The memories of this are stirred from deep within our cellular memory as we reconnect with what is an inherent, but often forgotten part of our subtle energy anatomy. This re-connection is absolutely necessary for our spiritual and physical evolution. 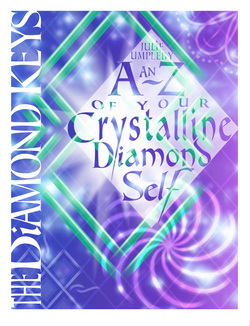 This fascinating book unfolds the wisdom and spiritual understanding of your personal Diamond Grid of Light. It takes you on a profound journey into the many facets of your own Diamond. For you to truly know ‘You’ within your Diamond light body is to ‘Come Home’ to the essence and completeness of your Divine nature, and multidimensional Self. The most often used expression by those who have reconnected with their personal Diamond Light Grid, or Light Body is exactly that, “I feel as if I have Come Home”. Written in an accessible and easy to understand manner, this book is a collation of the meaning, purpose, function and benefits of undertaking your own personal, spiritual journey into your own Diamond. It is a journey, yet you will almost immediately start to feel a positive effect. The subtle yet empowering energy of your crystalline light body-your Diamond- weaves its magic through your mind, body, heart and soul as you embrace its gifts. 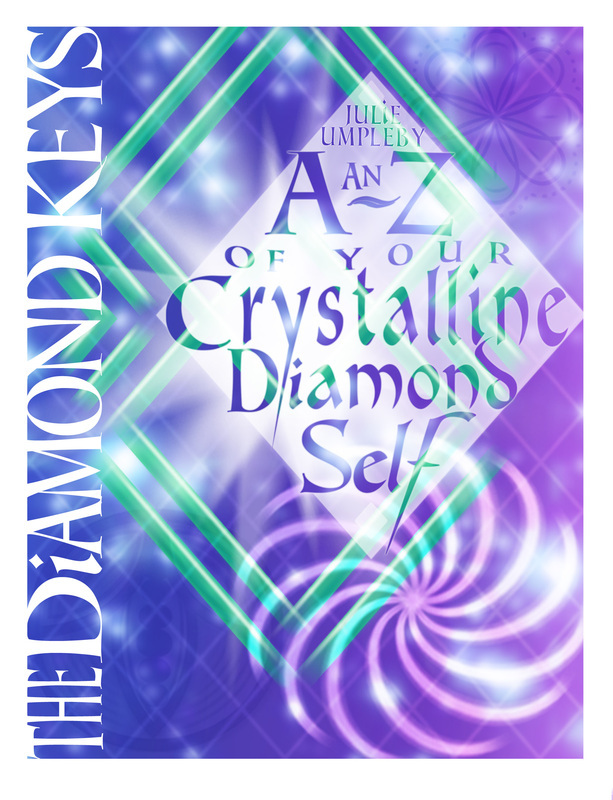 The Diamond Keys is being serialised online to enable you to access the wisdom and understanding of this potent lightbody form. The 'How' and the experience of it are shared through the many services and supportive programs offered by Diamond Light World. For guidance on how to get started with the activation and development of your own Diamond Grid of Light , please visit the 'Getting Started' page. Each new chapter will be posted on a monthly basis, and links provided below. Stay informed of special promotions, events and energy news with our free Diamond Community newsletter. You will also receive 5 free mp3 Diamond meditations valued at over £100. Any love or gratitude donations are most gratefully and graciously accepted, to support the creation and hosting of free materials.